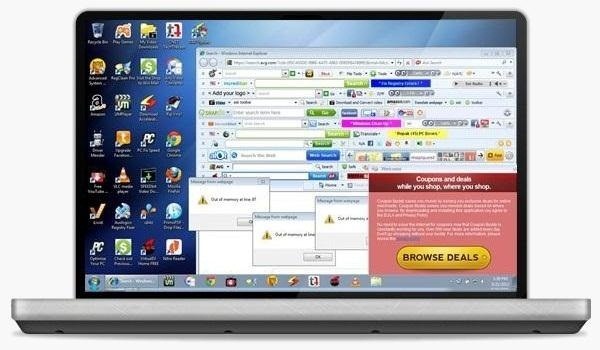 A lot of computers come with a ton of pre-installed software from the manufacturer, some of which you need and some of which you could most certainly live without. And over time, you may have downloaded and installed a bunch of programs and apps that you probably can't even remember. 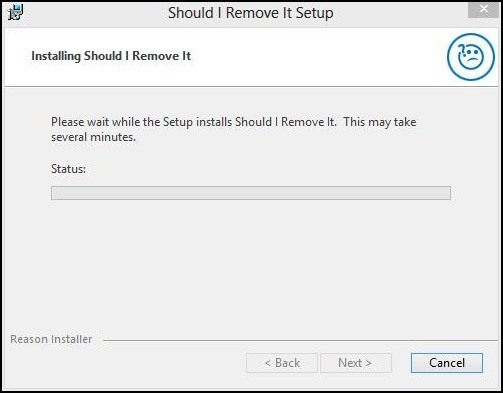 Now, you could go ahead and uninstall everything that you don't think you need, but then you run the risk of removing something that could really mess up the system. When I open up my Programs folder, I feel like I should be able to delete half the items in there. I mean seriously, do I really need 59 Microsoft Visual C++ Redistributables? What the heck is that in the first place? So, to help discover what is truly needed on your Windows, you can download Should I Remove It? to help you decide what to get rid of. Should I Remove It? 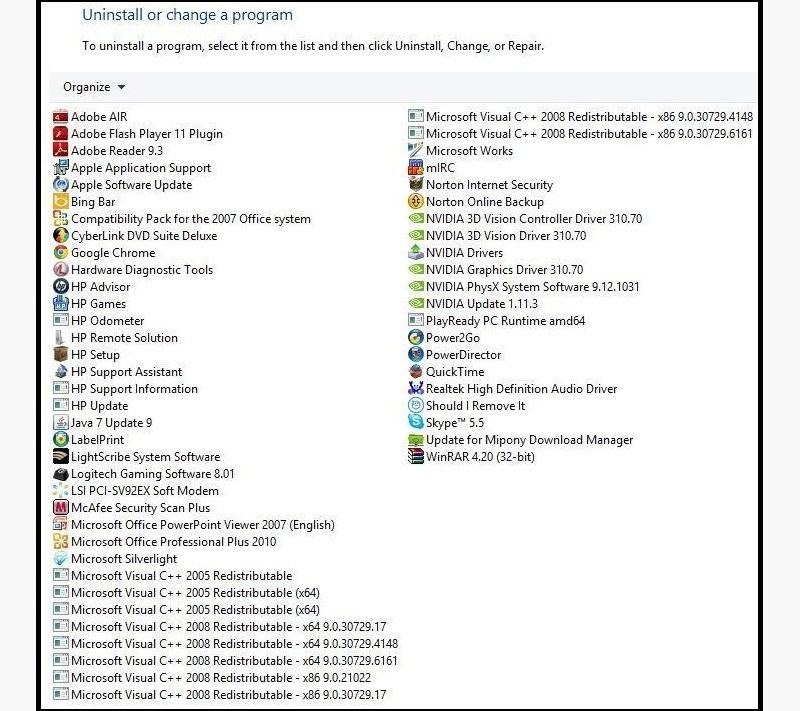 scans your computer to find programs that you don't use and let you know what you can delete without messing anything up. Once it's downloaded and installed, go ahead and launch the program. It will do an initial scan of your computer and then provide a list of apps or programs that you may be able to delete. 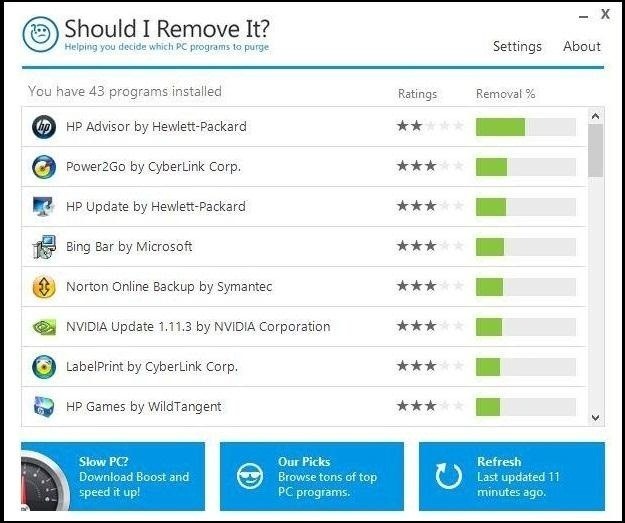 The listed apps will have a review and a removal percentage (the higher the bar, the higher the likelihood this program can be removed). If you highlight a program and are not sure exactly what it does, you can select What is This? and Should I Remove It? will take you to its website and dole out user reviews and a program description. It is always helpful to see the feedback from other computer users just to make sure you are not doing something out of the ordinary. 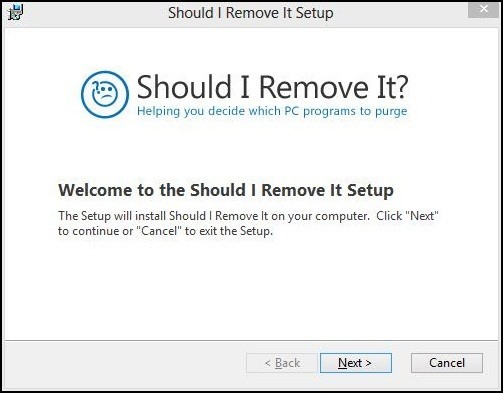 This is a great program if you want to clean up your computer and you are unsure of what you can remove or not. You can get the free download on the developer's website for Windows XP, Vista, 7, and 8.